The bathroom is a strange room in your house as nobody really spends too much of their day in there but you can bet that it is the number one room that visitors will judge you on when they are in your home. These days bathrooms can be a source of solace, routine and for some people luxury, but there is no reason why everyone cannot create the perfect place in which to relax. We all love a good gadget. New gadgets create a buzz in the media and almost as soon as something is released we are all waiting in anticipation for the next one. 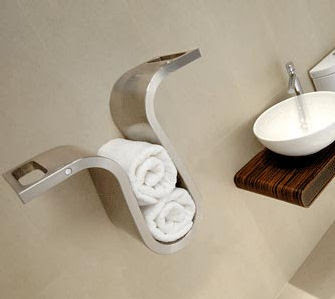 Gadgets are also a great way to improve your life and make it easier (well most of them) and so here are five great gadgets to help make your bathroom a place filled with relaxation and luxury. If you like your baths to be extra bubbly then this is the gadget for you. No longer will you have to spend ages swishing the bath water around in order to create the optimum foaminess; simply load up the bubble bath machine with your favourite bubble bath and watch it do the work for you. You can custom make all your baths from now on; choosing the right level of bubbles for each occasion. 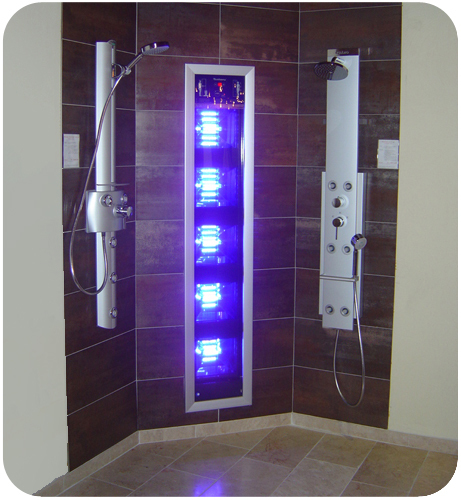 You could even leave it on whilst you are soaking to enjoy a Jacuzzi effect. 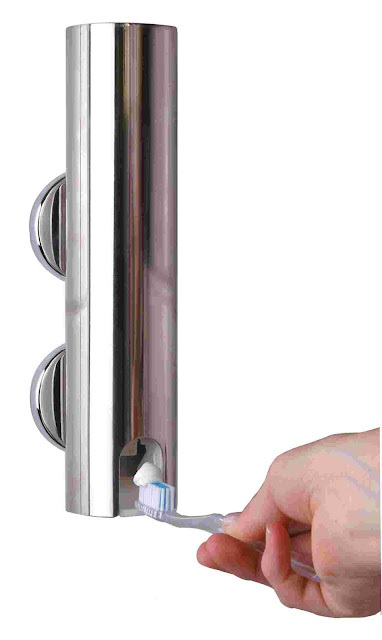 Are you worried about the lack of interaction you experience with your toilet roll holder? Or perhaps you just want to startle your friends and family when they least expect it? Either way this gadget is sure to be a welcome addition to your bathroom. Simply record your voice or anything you like on the device and then the message will be played back as someone tugs on the toilet roll. Thus bringing a whole new meaning to the phrase ‘toilet humour’. Heated towel rails may have been around for a while now but there is still no better way to heat your bathroom whilst also providing a delightfully warm towel for yourself when you get out of the bath. A heated towel rail offers an affordable luxury which is sure to enhance your baths and stop you for having to gear yourself up for the inevitable exit from your warm surroundings. You could even go one step further and install one of a new range of rails that comes equipped with the capability to heat scented oils and spread them into the room. Just how much toothpaste should you put on your brush? How do you get that last bit out of the end of the tube? And surely there’s a better way to do this? These are all questions that you no doubt ask yourself on a daily basis and that will all be answered by this automatic dispenser. This device works in the same way as a soap dispenser would in a fancy toilet. Just simply put your brush under the sensor and it will dispense the perfect amount of toothpaste. Just don’t get this mixed up with the soap one if you have both. Although this might be out of most people’s price range, I just had to include it on the list through sheer audacity alone. I don’t know about you but I am always looking for ways to tan myself whilst I’m washing and this has just solved all my problems. You can even choose which parts of your body you want to target; perfect for filling in those white bits that you missed whilst on the beach. Chris Mayhew is a big gadget fan and has recently added a few things to his bathroom. He would recommend Heatedtowelrails4U.co.uk for a wide range of luxury towel radiators.